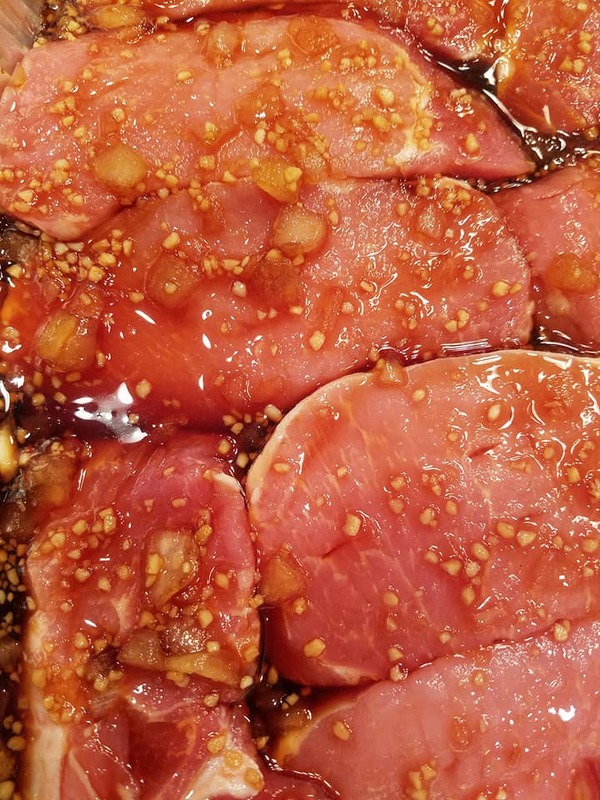 Everyone needs a great go to marinade recipe and this one is the all time best Pork Marinade. The meat will be moist and deicious! The combination of flavors is to die for! Have you all seen my World’s Best Steak Marinade recipe? That has been my go-to all-time favorite recipe for any red meats for years now. Having an incredible go-to recipe like that is awesome. I know each and every time that everyone will LOVE what I am cooking. This recipe has worked out so well for me that I decided I needed to tweak it somehow and come up with something similar for pork. I was really striking out when cooking pork. I tried a bunch of different recipes and none of them were hitting the mark for me or my family. I decided that the flavor of my meat marinade is what makes us all LOVE it. The combination of the honey, garlic and soy sauce makes the most delicious decadent marinade. This is exactly what I needed for pork. Let the tweaking begin. I felt like I was running some sort of grand experiments in my kitchen. I had all my tools, ingredients and taste buds busy at work. Finally, after long hard and exhausting taste testing 🙂 I have the recipe that I dreamed of for pork! This recipe has the same exact appeal as the steak marinade. It is a delicious combination of savory and sweet. Mix all the ingredients together and marinade the meat as long as possible. OMG this sounds AWESOME! I’ll definitely be using this! Thanks! Yum!!! I have been looking for a good pork marinade. Thanks so much for sharing! This sounds sooo good! Would love to have you share it on the Found & Foraged linky party held every Saturday night at 8PM CST on http://houseofhipsters.com/ Hope to see you there! I could have used this last week! Thanks so much for linking this up at Best of the Weekend! Sounds delicious. What cut of pork would you suggest??? Thanks for sharing the recipe. See you at the next Inspire Me Mondays Link-Up! How cute! I love them on strings. This would be pretty cool to do around Christmas too. You mention Honey in your paragraph, but there is no Honey mentioned in the ingredients. 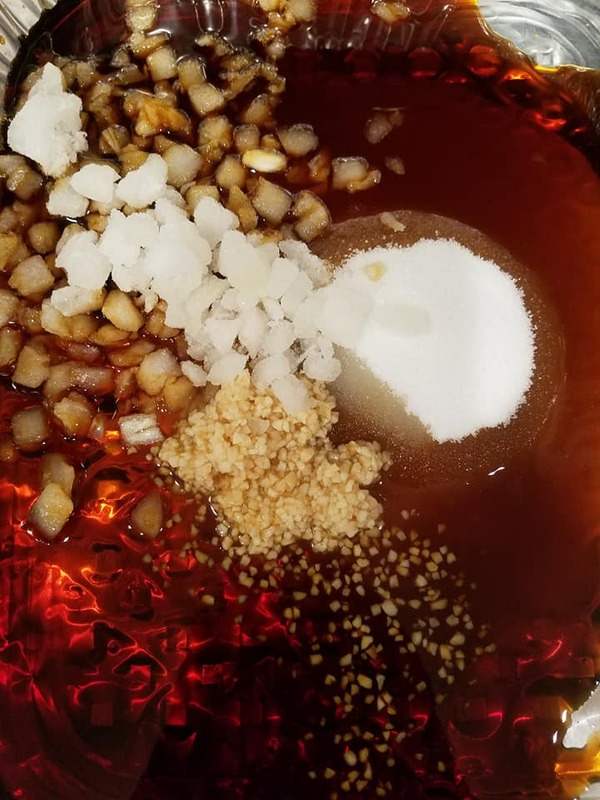 I use honey in my steak marinade which is linked in this post as well. I wanted to mimic the flavor but used brown sugar to sweeten. This was excellent. I used the recipe to marinade four pork tenderloins and it was absolutely fantastic.